This card was a very easy clean and simple card to create. 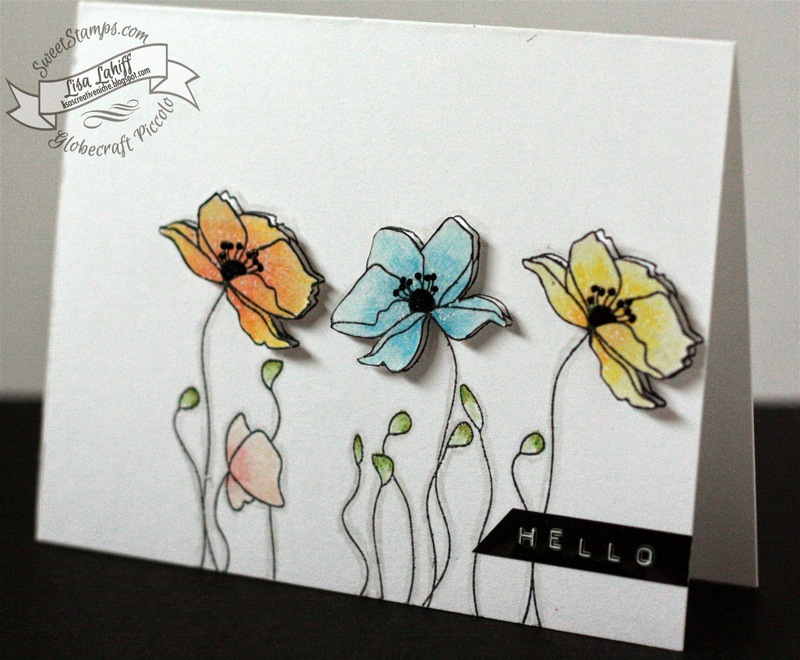 I started my stamping my poppies onto my cardbase and coloring in with Colored Pencils. I then stamped just the 3 larger flowers onto separate cardstock, colored in, and fussy cut. Once I was done I popped them up with foam adhesive on my cardbase, and added the sentiment. I also added some sparkle with a Wink of Stella pen, as I just couldn't help myself, hehehe! 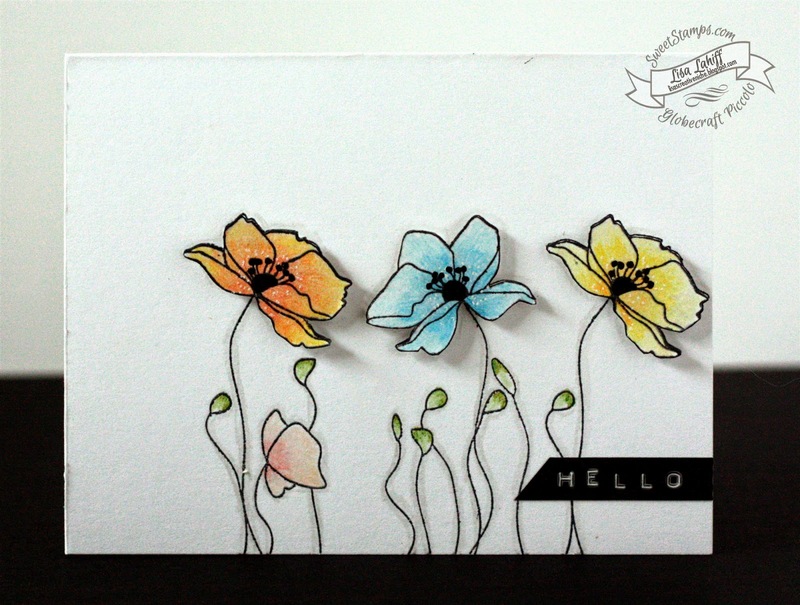 Love this card- the colors are great- and I love the simplicity!